Throughout the course of the next few months, multiple former St. Cloud Rox players will continue playing baseball around the world. Three former Rox players — Will Craig (2014), Josh Taylor (2014) and Jay Flaa (2013) — are among the 180 total players taking part in the Arizona Fall League, while Jack Barrie (2018) is currently representing Australia in the U-23 Baseball World Cup in Colombia. Each week, we will take a look at how the former Rox players are doing and recap how they performed during the previous week. During the third week of action in the Arizona Fall League, Craig appeared in four games for the Saguaros. In that span, the former Rox infielder went 5-for-17 with three runs scored, one double, one home run and two RBI. Entering the weekend, Craig is hitting .289 with six runs scored, two home runs, four RBI and two stolen bases for Surprise. For a full breakdown of how Craig is doing in the Arizona Fall League, click here. In his third week in the Arizona Fall League, Taylor made two more appearances on the mound for the Solar Sox. In those two appearances, which consisted of 2.2 innings or work, the former Rox pitcher gave up a combined three hits and two runs along with recording three strikeouts. Heading into the weekend’s slate of games, Taylor is carrying a 3.38 ERA in eight innings for Mesa, having given up just eight hits, three earned runs and one walk, while striking out nine. For a full breakdown of how Taylor is doing in the Arizona Fall League, click here. During the third week of play in the Arizona Fall League this past week, Flaa made one relief appearance for the Desert Dogs. In his outing, the former Rox pitcher threw 0.2 innings, giving up three hits and four runs, tallying one strikeout. Entering the weekend, Flaa has combined to throw 3.1 innings in relief, giving up a total of six hits and five earned runs on the mound for Glendale. 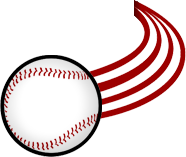 For a full breakdown of how Flaa is doing in the Arizona Fall League, click here. Barrie and Australia kicked off the U-23 Baseball World Cup last Friday in Colombia, with Barrie appearing in five games entering Friday. In those five games, the former Rox outfielder/infielder has gone 4-for-14 with two runs scored and one RBI, having also drawn three walks. He currently holds a batting average of .286 and an on base percentage of .412 for Australia. Australia and Barrie are back in action on Friday, taking on the Netherlands. For a full breakdown of how Barrie is doing in the U-23 Baseball World Cup, click here. The Rox will open their eighth season of Northwoods League baseball in 2019. 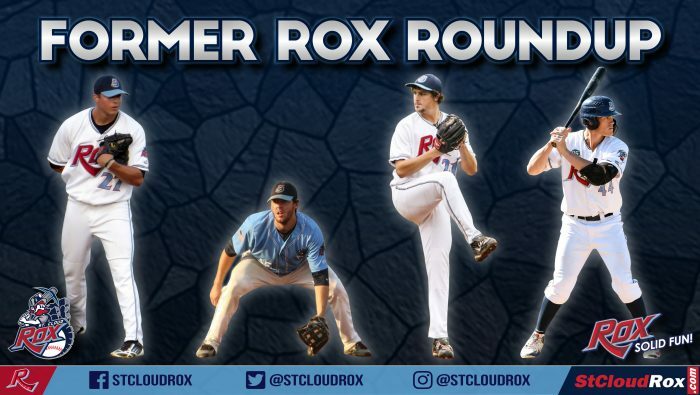 For more information regarding this release, season tickets and partial season ticket packages for the 2019 season, please contact the Rox front office at 320-240-9798 or visit www.stcloudrox.com.